Recent college graduates are struggling. Some are joining the military. Others are heading back to grad school. Upwards of 40 percent are unemployed. Almost a third have moved back home. It isn’t a good time to be a college graduate. And of the pool of graduates, liberal arts majors are faring, by far, the worst. Referring to the class of 2010, Courtney Martin, writing in The American Prospect, asks the question: “What does success really mean to a young American lucky enough to go to school but unlucky enough to be graduating at this economic moment?” It’s as though all the rules, expectations and promises that defined and directed these young people were tossed out the window, almost overnight, during those dark days of 2008. But in 2010, debt-ridden, bewildered and frightened, our young people are looking at a future of shifting paradigms — an onrushing squall of threatening uncertainty, with no shelter in sight. Late in the fall of 1960 (you remember Nixon and Kennedy), when I was not yet 23, also a somewhat confused recent graduate, I responded to an interview invitation that came my way from the Special Projects Office. Known in bureaucratic circles as “SP,” it was the Navy’s highest priority research and development program charged with developing what was known as the Fleet Ballistic Missile System (then Polaris, soon to become Poseidon, then Trident). Forty-one nuclear submarines were authorized and funded. SP performed administrative and technical feats never before accomplished. We were an elite organization and knew it. We worked 10to 12-hour days and always at least half a day on Saturday. Sometimes we worked around the clock. We were on the front lines of the Cold War. Six years later, I joined an offshoot program, the Deep Submergence Systems Project Office, and served there for another three years. These two organizations were staffed by very bright, dedicated and accomplished people, both military and civilian. I went on to experience a most challenging and exciting decade. And Mr. Aiken? I learned that he had taken his master’s degree in English from the University of North Carolina. My immediate boss had graduated in English from Villanova and was completing a master’s degree in the same subject at Georgetown. Few of today’s graduates will get the call I did, nor the position I was lucky enough to be offered. Likely none with a liberal arts background such as the one Aiken brought to the job. This results in what one writer termed “status anxiety” that can be ameliorated only by reorienting near-term expectations. Most importantly, graduates shouldn’t worry too much about immediate career paths because there aren’t a lot of jobs to choose from. The deeper reality and the good news is that Mr. Aiken’s advice remains just as valid today as it was 50 years ago. Smart, broadly educated people are needed as never before. Yes, there are fewer immediately available organizational cubby holes for 23-year-old budget analysts, but over the long haul, who’s to say who will come out best or who will contribute more. 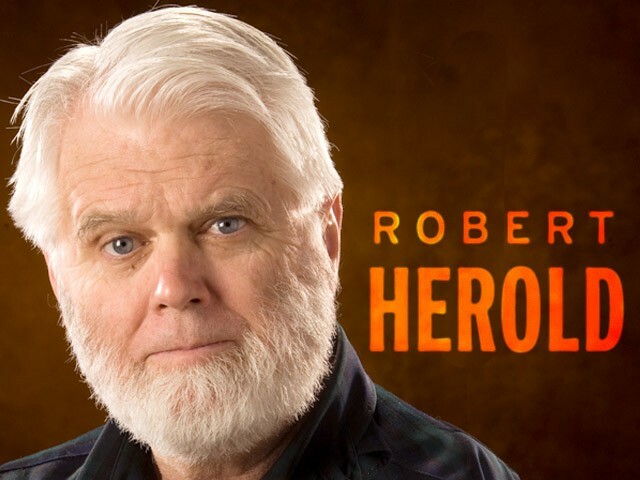 Robert Herold is a political science professor at Gonzaga University. His column appears in this space twice a month.